A proposal to name Boskoff, left, and Fowler peaks in honor of Norwood climbers Charlie Fowler and Christine Boskoff has passed the U.S. House. A bill would name two 13,000-foot peaks in the Wilson Range after Charlie Fowler and Christine Boskoff. A topo map shows where two peaks would be named after Charlie Fowler and Christine Boskoff, who were killed in an avalanche in Tibet in 2006. A bill to name two 13,000-foot peaks in the Wilson Range in memory of two mountaineers from Norwood has passed the U.S. House by a vote of 409-0. 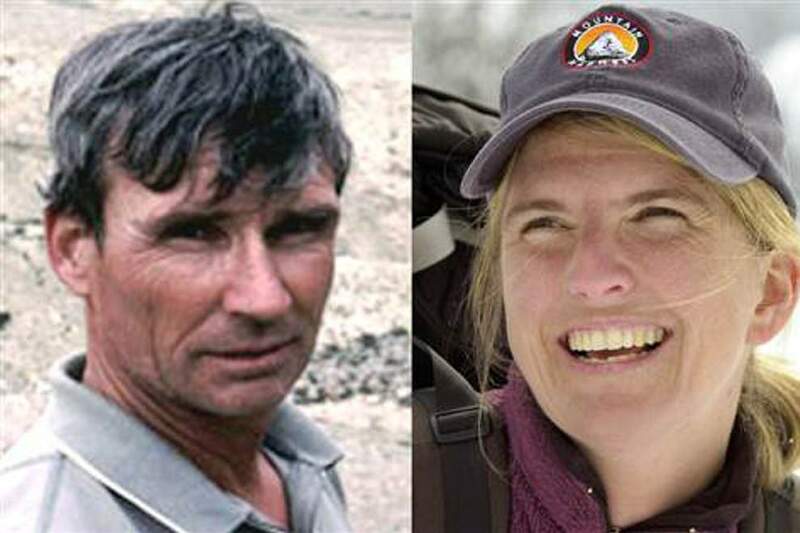 Introduced by U.S. Rep. Scott Tipton, R-Cortez, the Fowler and Boskoff Peaks Designation Act honors climbers Charlie Fowler and Christine Boskoff, who were killed in an avalanche in 2006. They were attempting to summit Genyen Peak in Tibet. The Senate companion bill, SB 1271, was introduced by Sens. Cory Gardner and Michael Bennet on May 30 and has received a legislative hearing in the Senate Energy and Natural Resources Subcommittee on Public Lands, Forests and Mining. Steve Johnson, Fowler’s good friend and climbing partner, told The Journal he has been working toward naming the peaks after the well-known local climbers for years. After running into the bureaucracy of naming the peaks through the U.S. Board of Geographic Names, he decided to give Tipton a call to see if he could make it happen through federal legislation, and found a key partner. Johnson and Fowler worked on access issues together, including for Wilson Peak around a private mine, put up first ascents on local crags, and served on San Miguel Search and Rescue together. Fowler was a well-loved, ultimate dirt-bag climber who eventually reached the pinnacle of the sport, Johnson said. He traveled the world on mountaineering adventures with Boskoff, returning home to climb with locals and promote the sport. 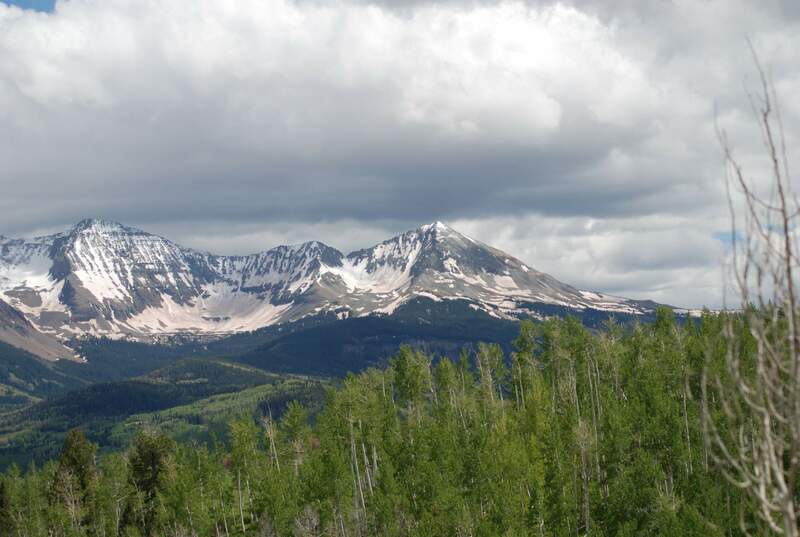 The peaks are located in the Uncompahgre National Forest near Navajo and Elk Basins, about 10 miles southwest of Telluride. 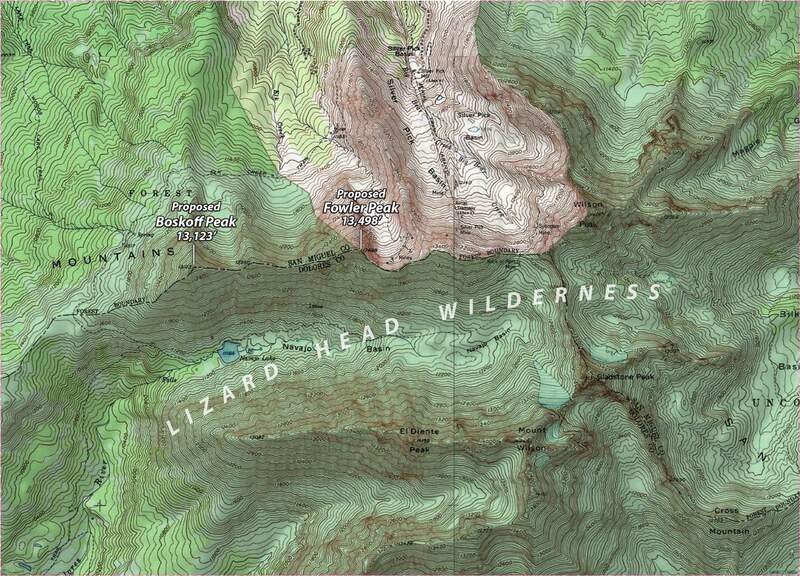 They are partly in the Lizard Head Wilderness Area. The mountains offer many opportunities for non-technical recreational climbing and hiking.